Use what you know. Develop against either the REST or SOAP API to integrate with Dynamics SL. Want to speed up development and lower cost? 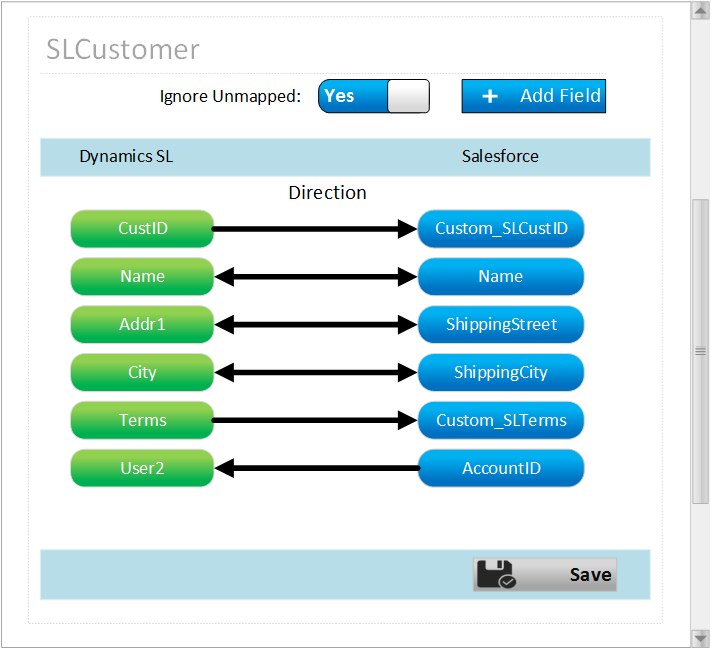 Use drag and drop mapping tools to quickly integrate between Dynamics SL and popular CRM, Helpdesk, Ecommerce, and many other systems. Reduce cost and time by eliminating the need to re-key data between systems and avoid errors that go along with it. No longer worry about un-reliable Transaction Imports (TI). 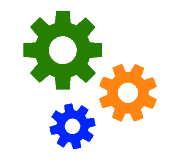 Use a tried and true Web Services API that integrates with most Dynamics SL modules. There are many solutions out there for CRM, helpdesk, messaging, document imaging, e-commerce, storage, and more. Each of these systems have their own way of integrating. Catalina's API for Dynamics creates a single integration solution that enables you to integrate with many different systems. No programming drag and drop mapping between Dynamics SL and other systems. You can create a transformation as easy as clicking on an SL resource, choosing fields, and pointing them to the external system's matching resource. Do you want to develop your own tightly integrated mobile app, website, or integrate with some other system? Using industry standard REST and SOAP based web services, you can build whatever you want on top of Dynamics SL using Catalina's API. The Catalina API for Dynamics SL has been implemented in hundreds of locations for over a decade and a half. The API allows other applications and systems to integrate with Dynamics SL using standard API's using REST and SOAP. Custom: We are always building new and custom integrations to SL. There are many cloud and on premise solutions you can choose for your CRM, helpdesk, document imaging, e-commerce, mobile, and other systems. 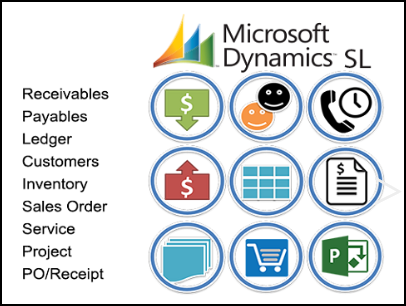 The trick is how do you connect them all back to your Dynamics SL ERP. Catalina's API for Dynamics SL addresses many of these problems with a simple consistent way to integrate SL to other systems. Without programming, Catalina's API for Dynamics SL allows you to use drag and drop mapping to link Dynamics SL to other systems like Dynamics CRM, Salesforce.com, Netsuite, SharePoint, Autotask, ServiceMax, and much more. Develop the way you want. 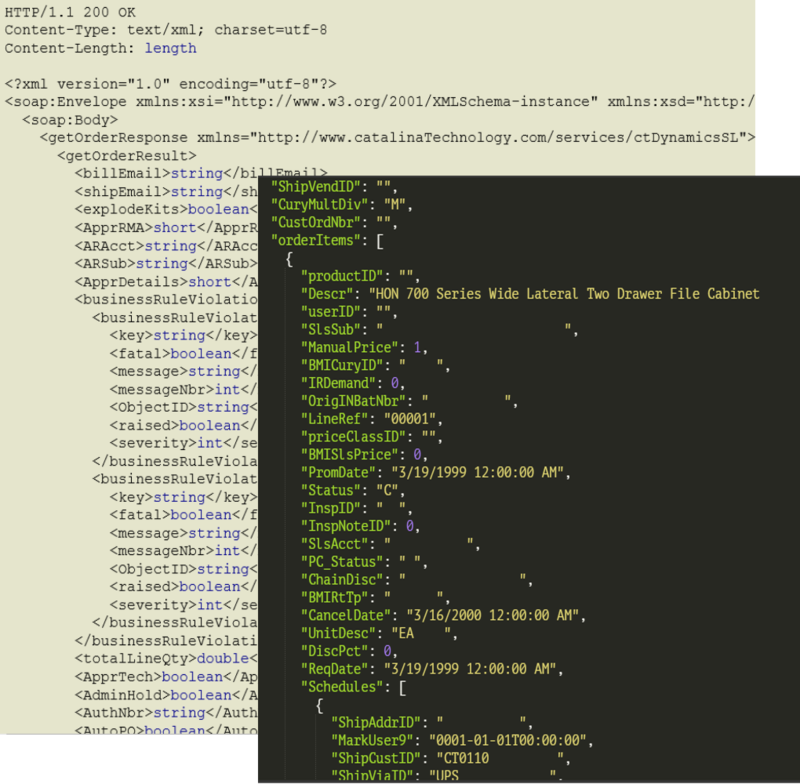 Catalina Technology gives you two different methods for interacting with the API. 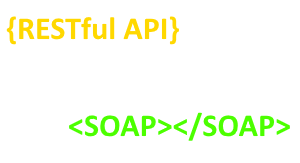 Choose from either RESTful API or SOAP and get working using development tools of your choice. Works with API mapping tools like Cloud Elements, Scribe, etc.